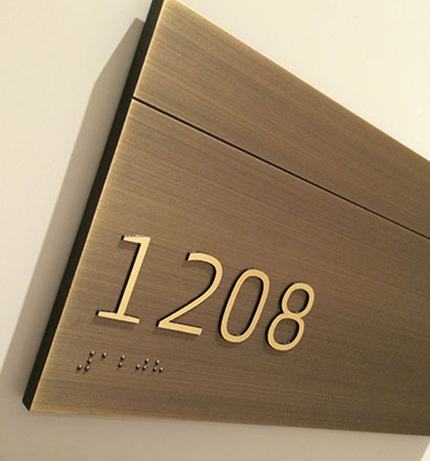 A room identification sign is more than just tactile numbers and braille. 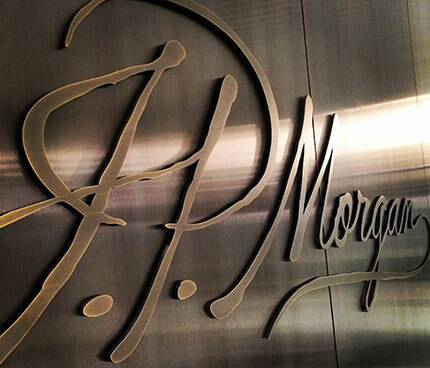 Each and every component of the sign has to fit within the aesthetics of the building environment. 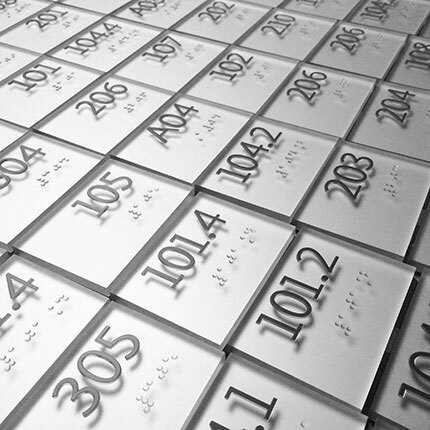 In this example, part of a large corporate refurbishment project, statuary bronze, finely machined and finished is used as the substrate upon which brass tactile letters and raster braille have been applied.